I was waiting at Marigold Pond this morning for a colorful sunrise that never quite materialized. Breaks in the cloud cover would be preceeded by rain and wind moving over Marigold Pond leaving me chilled as I waited for the sun to color the sky. 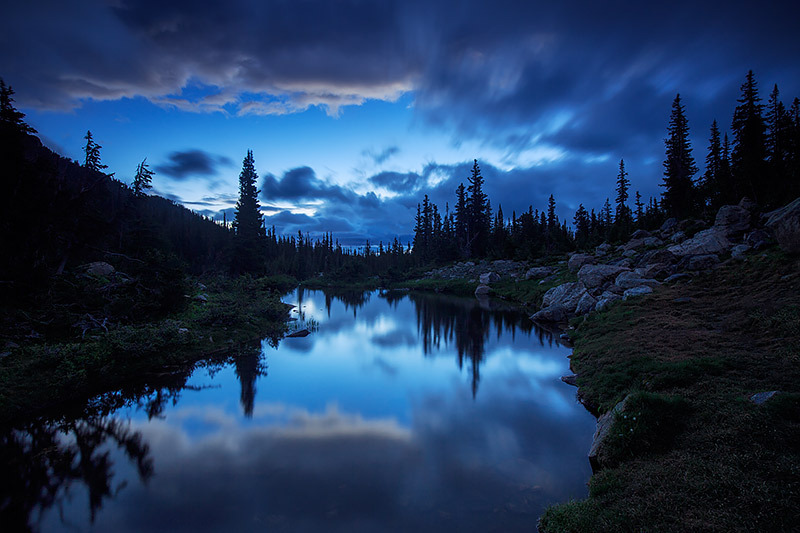 Even without the sun warming the sky and the photographer, the blue light of the pre dawn hours perfectly encapsulates the mood, beauty and drama waiting for the light this morning at Marigold Pond. Photo © copyright by Thomas Mangan.